VATICAN CITY (CNS) — The Vatican announced its plans to take a leap of faith into the wide world of sports with the creation of its first ever sports association. The Vatican Athletic sports association, which will fall under the auspices of the Pontifical Council for Culture and its “Culture and Sport” section, was presented during a briefing at the Vatican press office Jan. 10. According to a press release by the association, the idea to establish a Vatican sports team began with Vatican employees who met for their daily morning runs along the Tiber River. “The Secretariat of State allowed this ‘community’ of friends to be given a suitable and completely innovative legal form of Christian witness in the streets, literally ‘going out’ as Pope Francis asks, among the women and men who live the passion of sport,” the statement said. 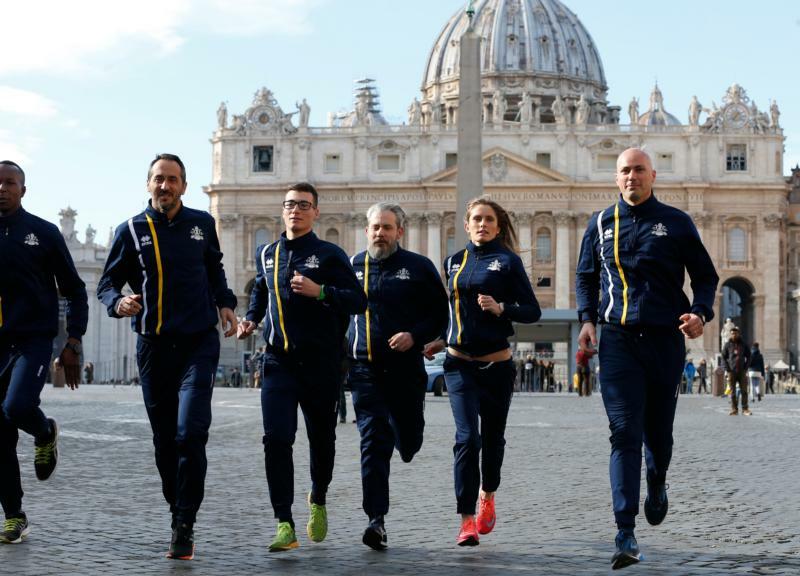 Vatican Athletic, it continued, is not just concerned with competing with other athletes but also committed to giving a “concrete Christian witness with spiritual initiatives” in the world of sports. Cardinal Gianfranco Ravasi, president of the pontifical council, told journalists the Vatican Athletic group represents a much-needed message of peace and unity in sports, which can sometimes be divisive. The establishment of an official Vatican sports association also could open the possibility of athletes from the world’s smallest state competing in future Olympic Games. During the 2018 Winter Games in Pyeongchang, South Korea, a Vatican delegation, led by Msgr. Melchor Sanchez de Toca Alameda, undersecretary of the Pontifical Council for Culture and the president of Vatican Athletic, was invited to take part in the opening ceremony of the Winter Games and attend its general meeting as an official observer. While a Vatican delegation attended the opening of the Summer Olympics in 2016 in Rio de Janeiro, the South Korea games marked the first time the Vatican was invited to attend an annual session of the Olympic committee. Msgr. Sanchez, who is also a former modern pentathlete, said the Vatican would not field an Olympic team anytime soon, but there may be a glimmer of hope that the gold and white colors of the Holy See may be seen one day at the global sporting event.